Full 4-channel movement, 2.4G and gyro-stabilisation means the Recon Drone is simple to set up and fly, making it ideal for beginners. On-board camera records video and takes photos, saving them to a micro SD card. Transfer videos and images to your laptop or computer using the USB SD card reader (card and reader included). Rapid 60 minute charge time with included USB charging cable. 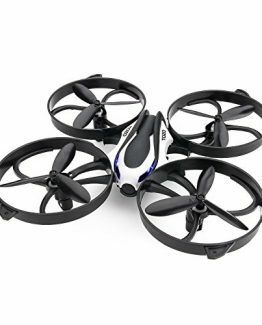 Gain an eye in the sky that’s under your complete control with this brilliant RC camera drone. 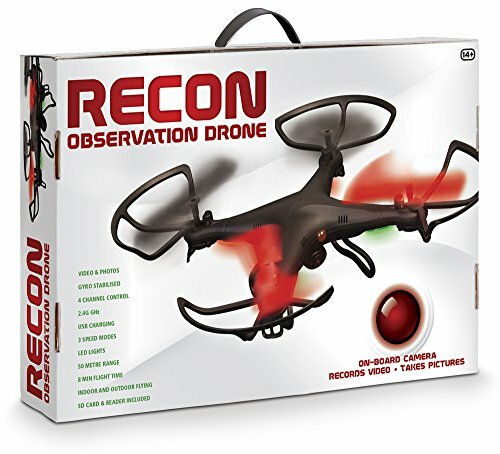 Send the Recon Observation Drone out on a scouting mission and its underside camera will capture footage, loading up the on-board SD card with videos and still images of whatever it sees. Just press either the video or photo buttons on the controller during flight to start recording images to view back later. 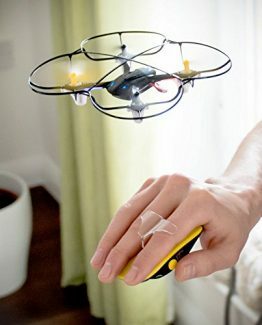 The drone even comes with an SD card reader so you can plug it straight into a computer and view your aerial handy work. 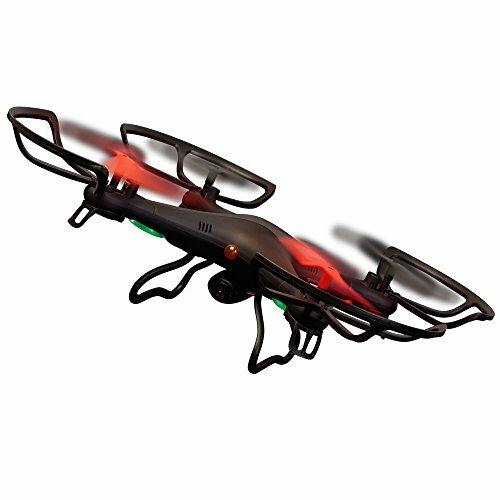 Operating on the 2.4G frequency, the Recon Observation drone enjoys a control range of up to 50 metres as well as an increased resilience to signal interference, meaning it can operate alongside other RC vehicles unhindered. It also features a three speed flight toggle, giving you more control and greater movement as well as a stunt button that triggers a mid-air flip. 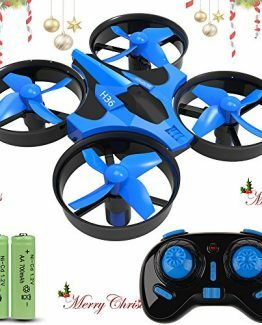 This stable flying machine is a great first step into the world of drones as it offers a bit of everything and comes with all the bits you need to get started. Speed up and slow down on demand with the one touch switch that toggles between three different speed settings. 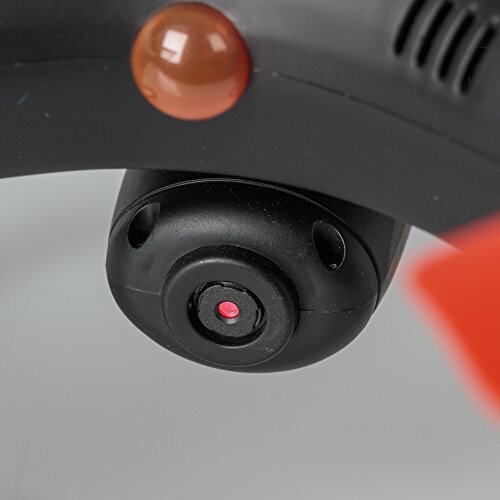 Easily perform flips in the air thanks to the simple stunt button that handles all of the precision for you, ensuring you remain in control at all times.